Words & Photography: Michael Klinkhamer. Original S-21 Photography by Khemr Rouge Photographer Nhem Enh. First Published in THE BIG ISSUE-AUSTRALIA. ABOUT: A lot of photojounalists are genuinely interested in their fellow humans and hope to open people’s eyes through their work. But there are also photographers who just do their job and have no compassion with the people they portray. 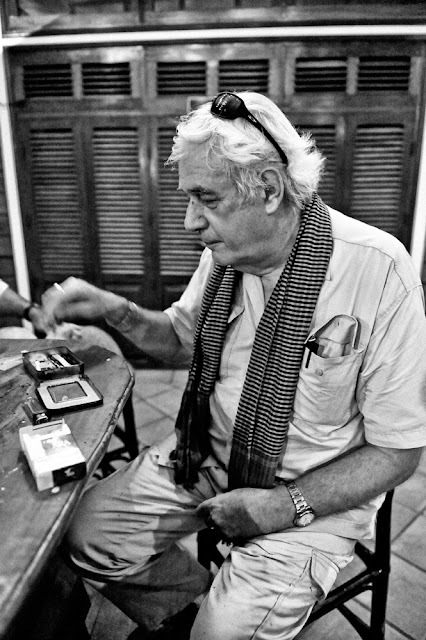 Michael Klinkhamer talked to Nhem Enh, a former photographer for the Khmer Rouge. It was his job to portray the prisoners in the infamous S-21 prison in Cambodia. These pictures were never intended to be published and had no journalistic purpose but turned out to form a impressive document of ‘la sale guerre’ (dirty war) and are now on permanent display at the S-21 genocide museum in Phnom Penh. Photography is an important medium for reporting and recording of history. Sometimes, photography can even influence history; two pictures in particular, both embedded in our collective memory, contributed to ending the war in Vietnam: Nick Ut's picture of a young naked girl fleeing her village after a napalm attack, and Eddie Adams' shot of police chief General Nguyen Ngoc Loan executing a Vietcong prisoner, Nguyen Van Lém, on a Saigon street. Many photoreporters chose their field of work because it's exciting and because they're good at it, but most of all they're sincerely interested in their fellow men and hope their work will open the eyes of the general public to tell by their images what's going on around them. Sometimes though, you come across images taken by photographers who had no form of compassion with the people they photographed. Pictures that were not intended to change the world. 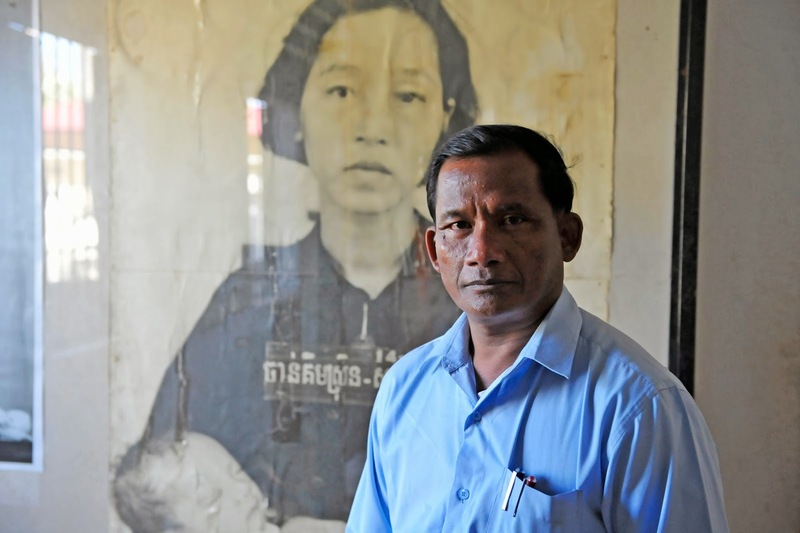 The portraits created at the notorious S-21 prison in Cambodia are cold. They were not meant for the outside world and are made without any journalistic intent. 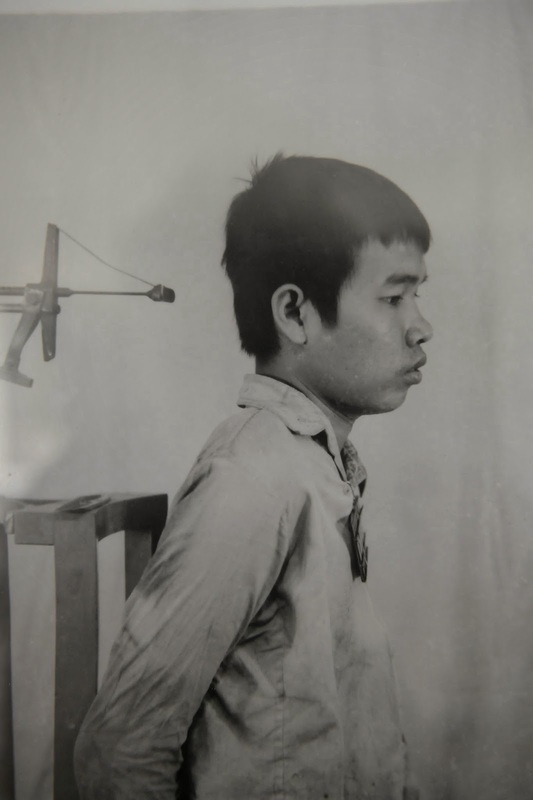 Yet, some 35 years after they were shot, these pictures have become an important part of an impressive document and a visual evidence of the Khmer Rouge's dirty war. 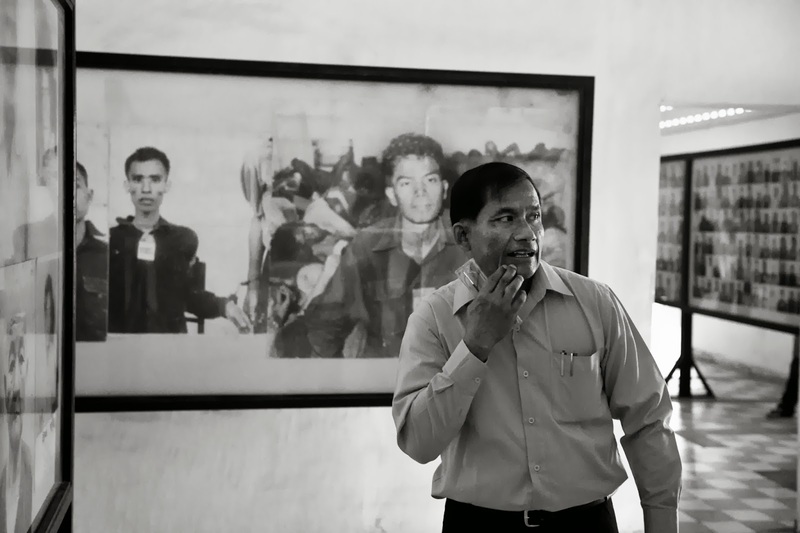 Between 1976 and 1979 Nhem Enh worked as a photographer in the former school building Tuol Svay Pray, during the Khmer Rouge period converted into a prison and interrogation center known as Security 21 (S-21). While based there, he photographed more than 15,000 people. 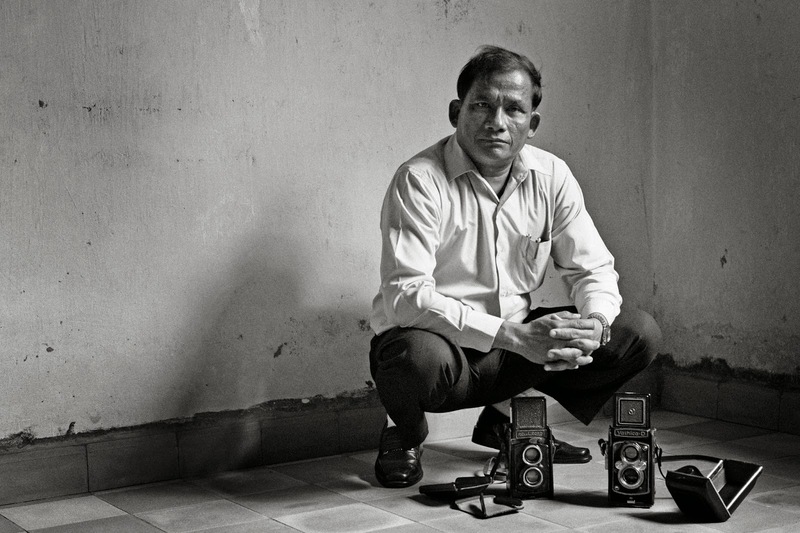 Cambodians who, after being photographed, were interrogated, tortured and killed. Of all portrayed prisoners only seven survived. 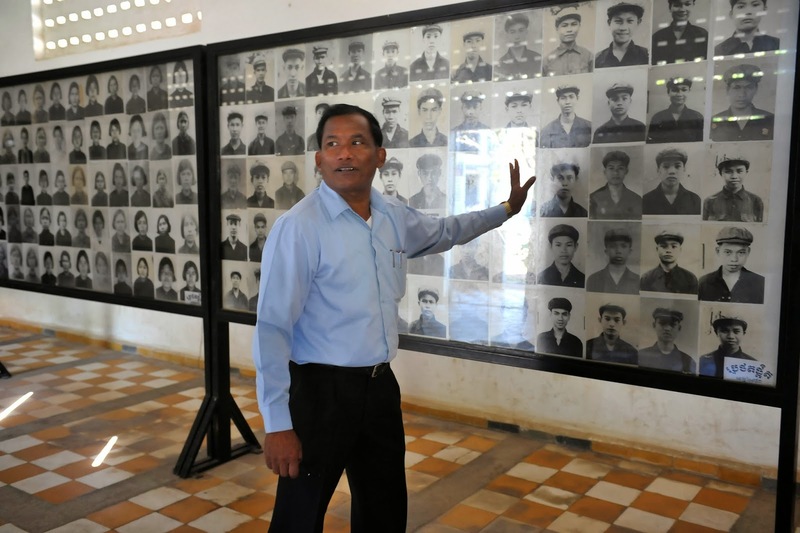 Nhem Enh's 'mugshots' are now on a permanent display at the Tuol Sleng genocide museum in Phnom Penh. 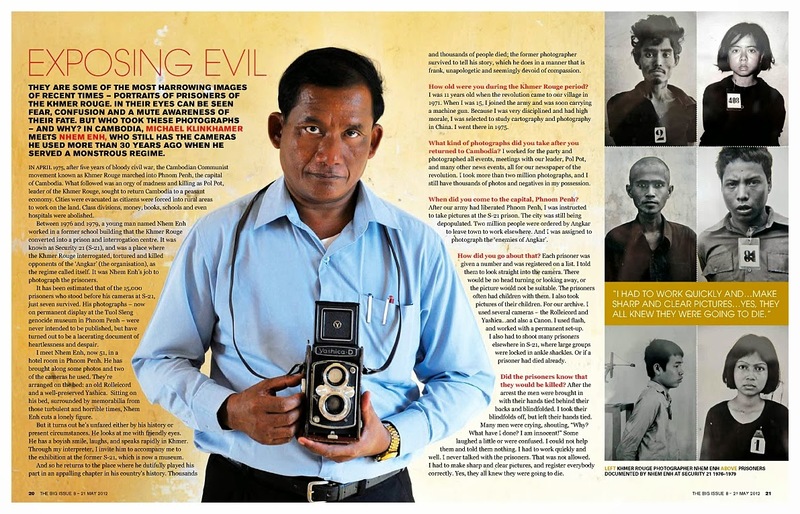 Michael Klinkhamer visited Tuol Sleng genocide museum and meets eye to eye with the 'blind photographer' Nhem Enh, now 51. After having persuaded Nhem Enh to travel to the Cambodian capital, I meet him at his hotel. He brought some photos and the actual cameras he used at the time. 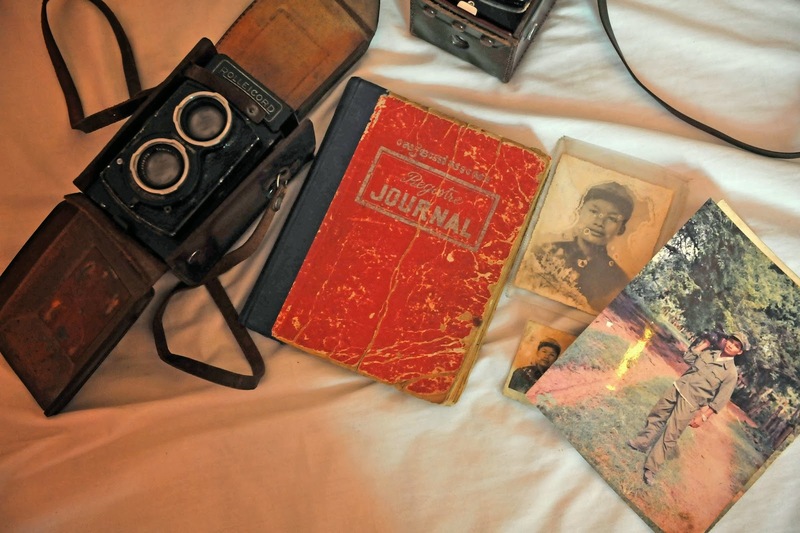 They're all neatly arranged on the bed, an old Rolleicord and a very well preserved Yashika. Sitting on his bed, surrounded by the memorablia from those turbulent and horrible times, Nhem Enh makes a kind of lost impression. But it turns out he's strangely unfazed. He looks at me with friendly eyes and a boyish smile, laughs and speaks rapidly in Khmer, a language I can not understand. Through my interpreter I invite him to visit the exhibition at the S-21 museum with me and to do our interview and photoshoot at the museum. And so we're off to the crime-scene for a peaceful interrogation and a picture shoot. 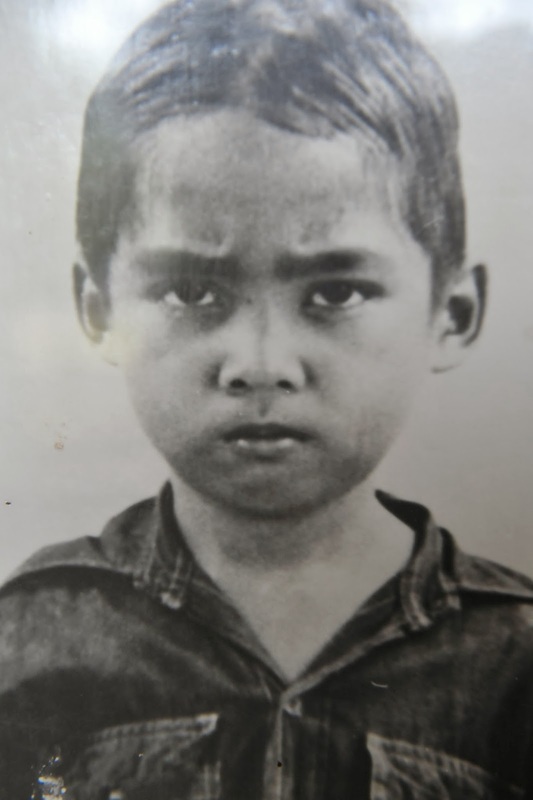 Q: How old were you during the Khmer Rouge period? Nhem Enh: "I was eleven years old. In 1971 the revolution came to our village. When I was fifteen I joined the army and was carrying a machine-gun. Because I was very disciplined and had high moral, I was selected to study cartography and photography in China. I went there in 1975." Q: What kind of photos did you make when you returned to Cambodia? 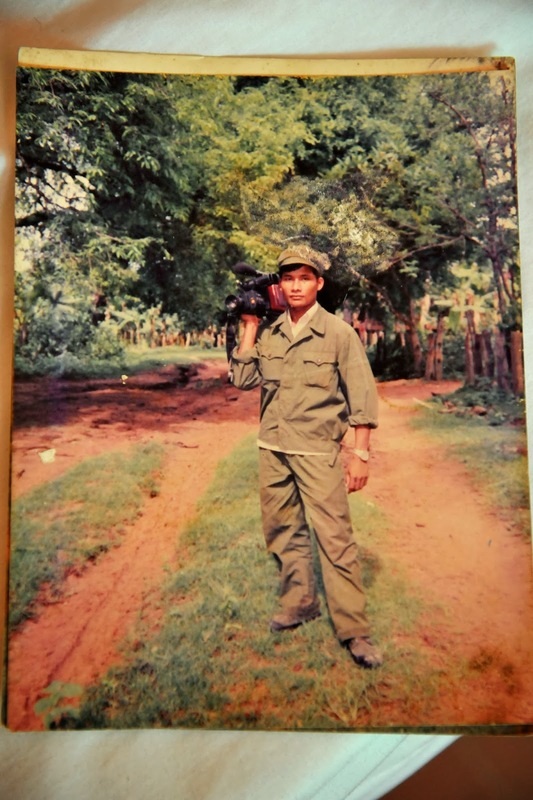 Nhem Enh: I worked for the party and photographed all events, meetings of our leaders like Pol Pot and many other news events, all for our newspaper of the revolution. I took more than two million photographs, and I still have thousands of photos and negatives in my possession." Q: When did you come to the capital Phnom Penh? 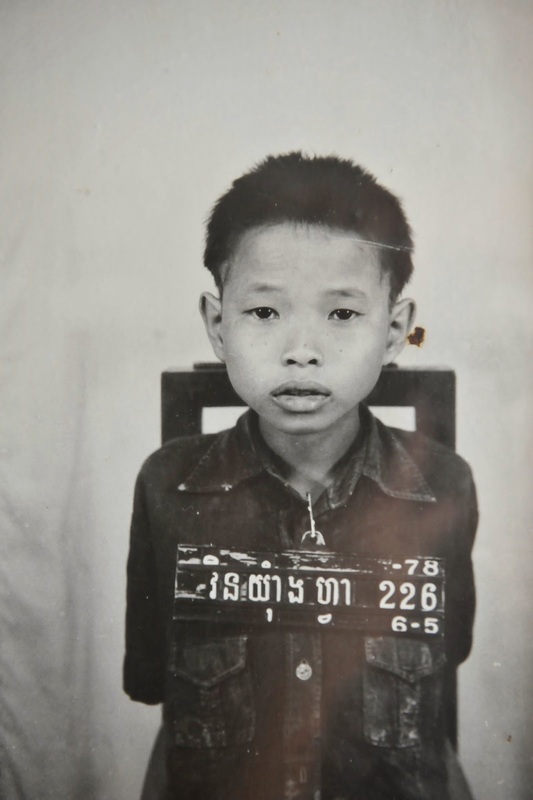 Nhem Enh: "About a month after our army had liberated Phnom Penh, I was instructed to take pictures at the S-21 prison. The city was still being depopulated. Two million people were ordered by "Angkar" (the organization) to leave town to work elsewhere. And I was assigned to photograph the "enemies of Angkar." Q: How did you go about that? 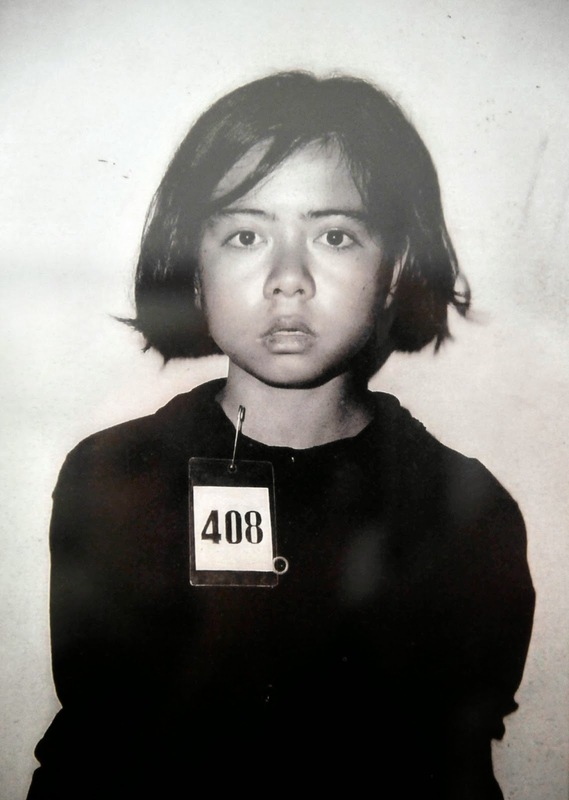 Nhem Enh: "Each prisoner was given a number and was registered on a list. I told them to look straight into the camera. No head turning or looking away, or the picture would not be suitable. The prisoners often had children with them. I also took pictures of their children. For our archive. I used several cameras - the Rolleicord and Yashica .... and also a Canon. I used flash, and worked with a permanent set-up. I also had to photograph many prisoners elsewhere in S-21, where large groups were locked in ankle shackles. Or if a prisoner had died already." Q: Did the prisoners know that they would be killed? Nhem Enh: "After the arrest the men were brought in with their hands tied behind their backs and blindfolded. I took their blindfolds off, but left their hands tied. Many were crying, shouting, 'why? what have I done? I am innocent!' Some laughed a little or were confused. I could not help them and told them nothing. I had to work quickly and well. I never talked with the prisoners. That was not allowed. I had to make sharp and clear pictures and register everybody correctly. Yes, they all knew they were going to die." Q: Who was your superior and did he check if you did your work properly? Nhem Enh: "The commander of S-21 was Kang Keck, alias Duch. He oversaw my work and made it clear everyday that life hung by a thread. If Duch didn't like your work it meant severe punishment or death. But to me he was friendly and even gave me a golden Rolex watch." Q: Duch was convicted of war crimes and is serving a life sentence now. How do you feel about that? Nhem Enh: "I do not think it is right or wrong. It is another time now and we have to live with what has happened. He is locked up now, but I don't think that is necessary." Nhem Enh: "He was very well respected and correct and I think it is no longer necessary to keep him locked up." Q: If you think of all those people who were in front of your camera, what would you say to them now if you could? Do you feel any pity or remorse? After five years of bloody civil war, the Khmer Rouge marched into Phnom Penh, the capital of Cambodia, on 17 April 1975. There was no resistance from government forces and the whole city, its population swollen by refugees from the fighting along the Cambodian-Vietnam border, was relieved that peace had come at last. That relief was short-lived. On the pretext that they were expecting the USA to bomb Phnom Penh, the Khmer Rouge forced the whole population to evacuate the city on foot. Those who refused were shot, as were hospital patients and anyone else who was unable to walk. The same thing happened in all other cities in Cambodia and the whole country was effectively turned into a vast forced labour camp. Pol Pot, leader of the Khmer Rouge, was achieving his dream of Year Zero, the return of Cambodia to a peasant economy in which there would be no class divisions, no money, no books, no schools, no hospitals. Religion was banned in the constitution of January 1976. 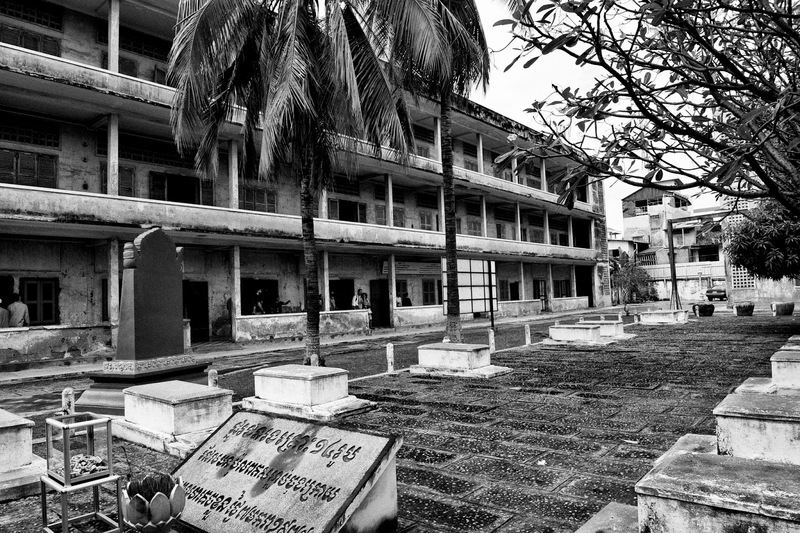 In May 1976 the Khmer Rouge established 'Security Office 21' (S-21) in a former high school at Tuol Sleng in Phnom Penh. The purpose of S-21 was the interrogation and extermination of those opposed to 'Angkar' (the organisation), which is what the Khmer Rouge regime called itself. There may have been as many as 150 other centres at least the size of S-21 where more than 500,000 Cambodians were tortured and executed. Hundreds of children between the ages of 12 and 17 were rounded up from poor families in the countryside to serve as "special and honest security guards" at S-21. 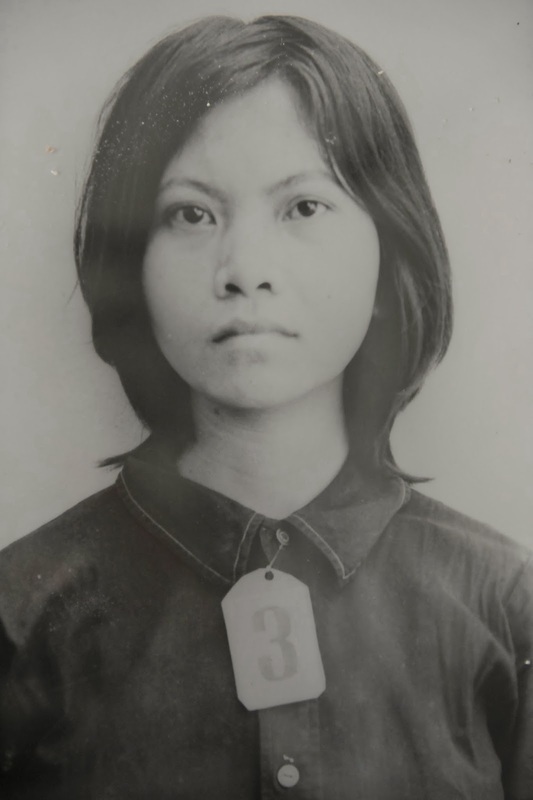 Although the vast majority of prisoners interrogated and executed at S-21 were Cambodians, other victims were of Vietnamese, Laotian, Thai, Indian, Pakistani, British, United States, Canadian, New Zealand and Australian nationalities. Those who died at S-21 were taken to the "Killing Fields" named in khmer Choeung Ek, outside Phnom Penh, to be buried in mass graves. Inmates of S-21 who survived interrogation were taken to Choeung Ek for execution. The burial ground is now a memorial to those who perished under the Khmer Rouge. 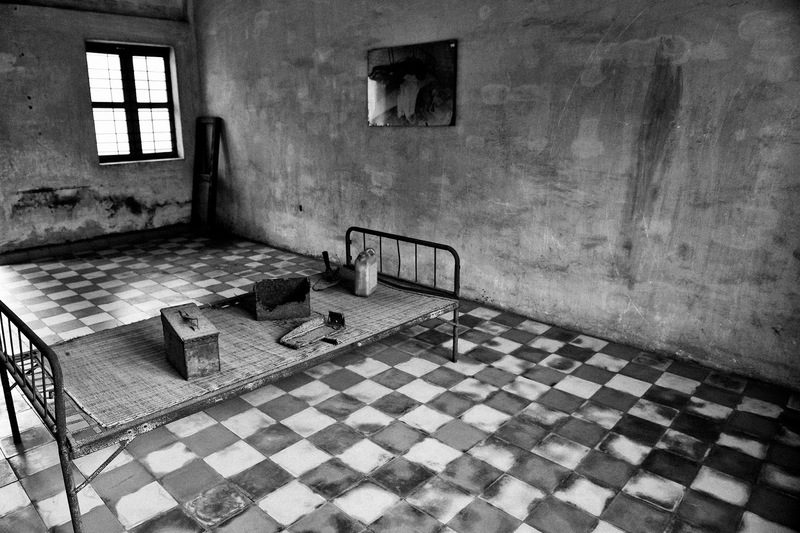 Today Tuol Sleng is a museum of genocide, displaying prison cells, torture instruments, photographs of the victims, and paintings of some of the atrocities perpetrated at S-21.